So, it turns out that in the process of buying out the entire non-independent dedicated computer game shop sector of the retail market, they ended up canabalising sales from their own stores. Faced with the oncoming march of digital distribution, Game used its retail muscle to demand that games not be released for any cheaper on digital download, and then (allegedly) that they not be released for pre-order and/or sale online at all, especially if they use Steam for cloud saving or achievements. Plus, with the second hand game scam (Where you can resell first-week release games back to Game for store credit, after which they resell them at almost-full-price and don’t have to give a single penny to the publisher. I can see the argument for second-hand sales of older games, but brand new ones they can resell for nearly-full-price cannibalises full-price sales at direct detriment to the developer and publisher, and massive profit to the retailer), publishers already had good reason not to like continually being held to ransom by the retailers. I’m not surprised they weren’t able to negotiate all that hard. The value of Game hasn’t been for gamers in quite a while, especially not for PC gamers. Not since Amazon undercut their prices and Steam undercut their convenience, and in turn they reduced their shelving for PC games to single-slots of the current and past Top 10, while still making the demands above. It’s been more important for console games where there’s less way around the physical media issues, but for most gamers buying games migrated online a long time ago. Game’s value has been in the browsing, the hardware it’s too bulky to ship cheaply, the non-gaming adult who wants to buy a game for their kids/nephew/cousin/partner. A polished plastic, fluorescent tubed front door to gaming that presents a better visual than the sweaty gloom of a LAN party or bedroom gaming, more focused than the piled high racks in Asda or Tesco that only sell the gaming equivalent of Avatar. 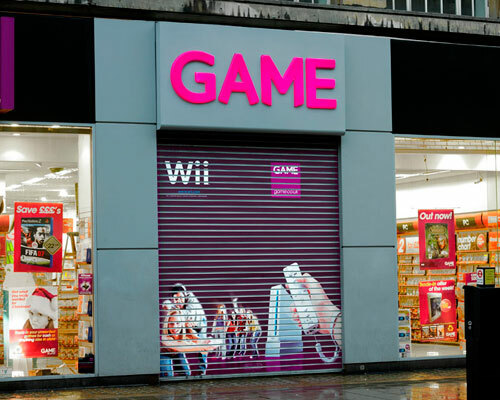 The loss of that is a shame, and the potential loss of six thousand jobs as the company winds up is terrible, and while losing the high-street specialist game shops is a shame, the loss of the bully in the playground isn’t one I’m going to grieve over. I think it’s a bit odd that you seem to be backing the publishers’ disapproval of second hand games. If nothing else, the value of being able to sell a game back (and/or share it with friends) is already included in the market price. Take that away and the game isn’t worth as much. Sharing it with friends is different, I think. Game sells (sold) Second hand sales of new-release console games at something like £5 off RRP, and does it right next to the full price games which directly means consumers buy the second hand game as well, so Game gets the margins of selling the game twice, and the developer (I care less about the publisher) only gets the first one. For games after the first few weeks, and for sharing with friends, I’ve got no problem with it. In addition, if the second-hand sale was included in the price, I’d expect PC games to be significantly cheaper than console games at release, since there’s no retail second-hand market for them. Huh, I am completely out of touch with games, clearly. I had no idea that pre-owned games had become such a massive thing. So much so that it’s ended up creating a model that looks a lot like rental. And video rental stores are going to the wall too… If you’re encouraging people to (effectively) rent videos or games then they’ll quickly reaslise there’s no need to cart around atoms to do that. How much do retailers offer for used games, do you know?